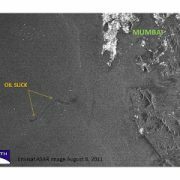 Oil is leaking from a cargo vessel that sank on August 5 about 25 miles off the coast of India near the port of Mumbai. This radar satellite image taken yesterday (August 8) shows a narrow slick about 12 miles long in the general vicinity of the sinking, based on the news accounts we’ve seen so far. The buildings of Mumbai appear as a dense cluster of bright spots, typical for radar images of built-up areas. Other bright spots offshore are vessels and possibly oil and gas production platforms. 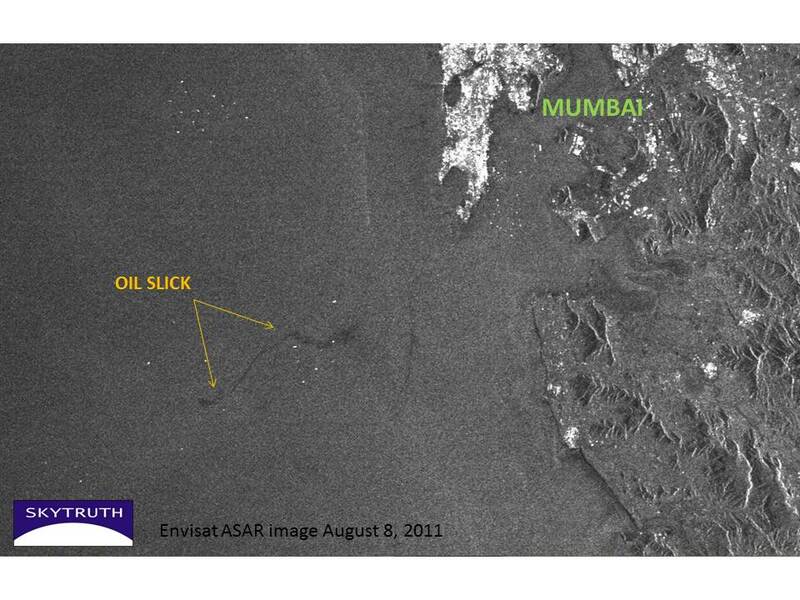 Radar satellite image showing oil slick off Mumbai, India on August 8, 2011. Envisat ASAR image courtesy European Space Agency.